HomeAll Posts...What is Skin Cancer? Skin cancer does not discriminate. Regardless of your race, gender or age, everyone is at risk for developing skin cancer. There are three types of skin cancer: basal cell, squamous cell and melanoma. Each year more than two million people in the United States are diagnosed with one of the three types of skin cancer. 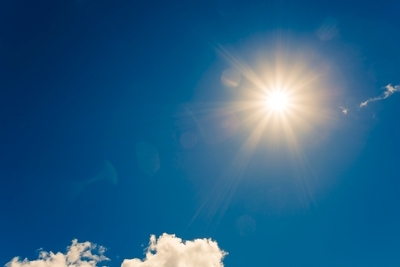 There are certain factors that put a person at higher risk for developing skin cancer. The top two risk factors are long-term exposure to the sun and indoor tanning equipment. To help protect yourself and lower your risk of developing skin cancer, keep reading. Basal cell carcinoma is the most common of the three types of skin cancer. It is the only skin cancer of the three that does not spread. BBCs are irregular, uncontrolled growths that appear on the epidermis layer of the skin (the layer of the skin you can see and touch.) The growths can appear as flesh colored, light brown, light pink or off-white bumps, and they may have a waxy feel to them. The growths usually do not cause you any pain; they just grow slowly and do not look all that different from the rest of your skin. BCC can appear on any part of your body that is exposed to the sun. As the BBC continues to develop, you may start to notice what look like sores. The growths (sores) may be raised, red, have a sunken area in the middle of the sore. Also, BCC sores may bleed, ooze, or a scar may develop over the area. You may have more than one sore on different parts of your body. By this point in time, you will want to make an appointment with your doctor. Your doctor will look at the sores, and if he or she suspects it may be skin cancer, a biopsy is necessary to remove a small portion of the lesion for the laboratory doctor (pathologist) to evaluate. If you and your doctor catch a basal cell carcinoma in the early stages, the prognosis is excellent. The prognosis is good even in later stages, too. Squamous cell carcinoma skin cancer usually develops on injured skin, but it also occurs on healthy skin. Just like BBC, this type of cancer is commonly found on areas of the skin that have been over exposed to sunlight. SSCs are often on the face, ears, hands, neck, and arms. Unlike BBC, squamous cell carcinoma spread to other parts of the body. The first stage of SCC is called “Bowen’s disease”. Experts named early SCC Bowen’s after the doctor who first found that the SCC has not spread to the tissue surrounding the growth, mole, or wart. SCC is easier to identify than BCC, because the cancer appears in places it can easily be seen, such as the face. SCCs are also large, crusty and red in color, making them more noticeable. A doctor follows the same steps when diagnosing SCC as he or she does with BBC. The prognosis for squamous cell carcinoma is extremely good. An SCC prognosis is not as good as with basal cell carcinoma because SCC spreads easily, and if ignored, it can spread the organs. The good news is that it spreads slowly and is easily recognized – more quickly than BBC. The last kind of skin cancer is called melanoma. This is the worst type of skin cancer and the most deadly type. Melanoma cancer results from a change in the skin cells called melanocytes. The prognosis for melanoma skin cancer depends on how early it is diagnosed. If the doctor diagnoses it in the very early stage, the prognosis is good. Unfortunately, not all melanomas are curable, and they often return. The testing for melanoma occurs the same way as testing for BCC and SCC. If he or she suspects melanoma, your doctor visually evaluates the area of the skin and does a biopsy. With this type of skin cancer, the doctor usually removes all of the area suspected of melanoma. He or she does this either by a surgical procedure at a hospital or in the office setting. In addition, the doctor does another type of biopsy – a sentinel lymph node biopsy. This is where a piece of tissue from the sentinel lymph node is removed and biopsied. The purpose of the sentinel lymph node biopsy is to see if the cancer has spread from the original site. If the cancer has spread to the lymph nodes, then the doctor must remove additional lymph nodes. The treatments for melanoma are the same as for any other type of skin cancer. But if the melanoma invades the body, these therapies could include major surgery, chemotherapy, radiation therapy, and immunotherapy. If the doctor treats the melanoma cancer successfully, you enter remission. However, the chance of cancer return is probable. The best way to avoid skin cancer is to use a high UV ray sunscreen when you are out in the sun. Also, wear a hat, cover your upper body with a light and roomy cotton shirt, and wear light cotton pants. That is not to say you cannot enjoy a day at the beach or any outdoor activity. Just be sure to use plenty of waterproof sunscreen, and try not to spend long periods of time outside everyday especially between the hours of 9am and 4pm.